3/4"), parquet, engineered floor, unfinished or pre-finished. 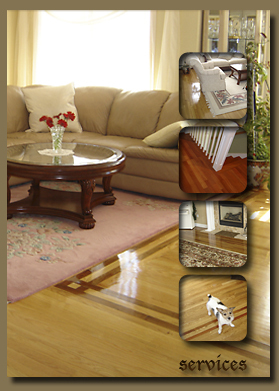 ° We install on: wood(plywood), concrete, linoleum...sub floors. ° Circular buffing to insure smooth surface. We refresh floors: Includes light buffing and revitalizing, with one coat of polyurethane (The cheapest and easiest way to keep your floors protected and beautiful through the years).